Picture this: you're sitting in a garden on a pretty summer day, and along comes a butterfly and a bumblebee. Which grabs your attention first? Evolution would suggest that we're primed to detect threats, so we might pay attention to the buzzing little bee. But butterflies are pretty. And here are some complications: what if we're especially afraid of bees or especially entranced by butterflies? Instead of bees and butterflies, the researchers turned to arachnoids and cult TV: they exposed 72 British subjects to a variety of photos, including some of spiders and characters or objects. The chupacabra has been an intriguing urban legend for decades, but one man said he spotted something like it and got pictures of it. Jack Crabtree said he and a friend spotted the strange-looking creature outside his Lake Jackson home on July 4. "He said, 'That's the strangest dog I've ever seen,'" Crabtree said. "I immediately said, 'That's not a dog, it's a chupacabra.'" Crabtree said he's heard of the chupacabra as a mysterious creature with a scary look. 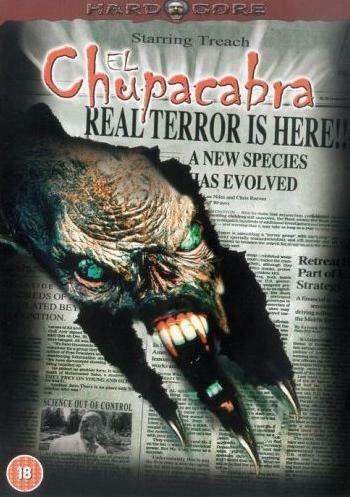 The word "chupacabra" means "goat blood sucker" in Spanish. It was given that name for its reported habit of attacking and sucking the blood of livestock, mainly goats. Crabtree said what he saw was ugly, skinny and gray. "Most prominent feature was his ears," he said. "I can see why people would conjure up myths and horror stories associated with something that has that appearance."